Beautiful Texas bluebonnets fill the rolling landscape in the shores surrounding Horseshoe Bend on the edge of the Texas Hill Country. Highlighted by a wonderful evening sky, these bluebonnets were relatively untouched by the crowds when a friend and I discovered this pristine field. Soon, word got out and this sea of blue was quickly trampled by folks wanting their own photo in the bluebonnets. Still, we were able to enjoy one beautiful spring night of our favorite Texas wildflowers. 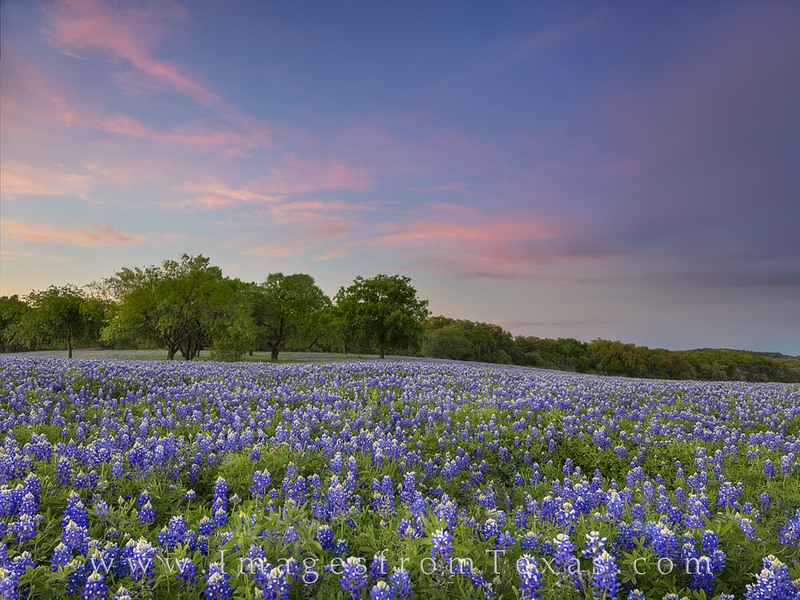 This bluebonnet photograph is available in larger and custom sizes. Photo © copyright by Rob Greebon.